Ring News 24Boxing News Breaking Boxing NewsDaniel Dubois – on the path to stardom? 2017 has seen some great fighters retire, breakthrough stars step up to the next level and prospects announce themselves on the circuit. Who doesn’t get excited by a big-punching prospect at any weight, but certainly in the glamour heavyweight division? 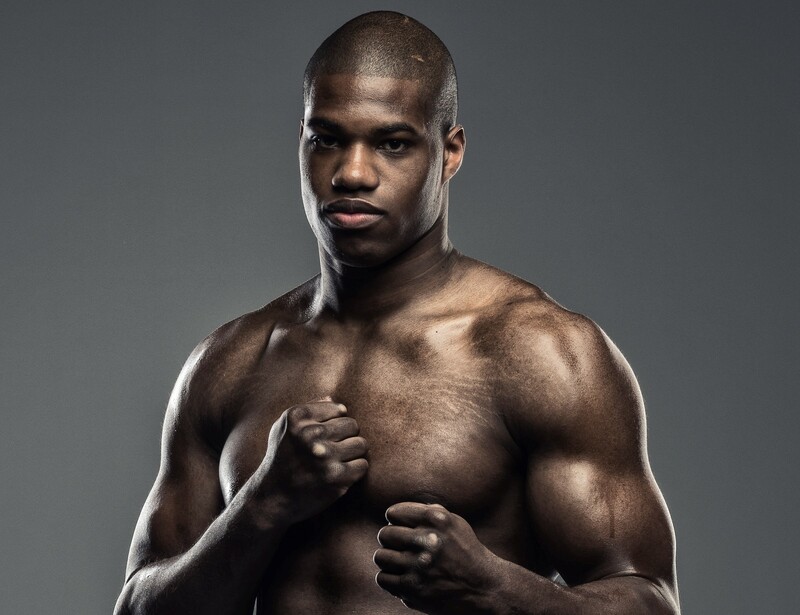 One fighter that has recently captured the imagination of UK fight fans is heavyweight Daniel Dubois. At just 20 years of age the fine physical specimen definitely looks the part and has been dispatching opponents with the minimum of fuss, thus far. The matchmaking has been cautious to say the least, but that is to be expected given his tender age and there is no discernible reason to push him into the deep end just yet. Promoter Frank Warren, however, is expecting his charge to move along a traditional path, taking in the likes of the English, British and European titles before ascending to world honours. If there’s one person who knows how to plot a route, it’s Mr Warren. Since making his debut in April, with a knockout of Marcus Kelly, Dubois has motored through five consecutive opponents without conceding a round. Boxing for the final time in 2017, this Saturday evening, it is unlikely that Wales’ Dorian Darch will fare any better than the previous competitors. Daniel’s most recent victim, AJ Carter, was little more than cannon fodder and found himself dispatched accordingly, in a Southern Area title fight. Blown up cruiserweight Blaise Mendouo to this point has provided Dubois with his toughest test. Matchmaker Jason McClory, who has been responsible for sourcing some of Daniel’s early opponents, told the Boxing Asylum podcast on Sunday evening that the Londoner can go “all the way” in his career. If his trajectory increases as rapidly as some suggest, it is not outside of the realms of possibility that Dubois reaches a point where a fight between him and heavyweight kingpin Anthony Joshua becomes a viable reality – assuming AJ is still mixing at the top level by this stage. In the short term, English and then British titles will be on Dubois’ radar. A glance across the British rankings shows the likes of Ian Lewison and Dave Allen as possible opponents over the next couple of fights, to give Dubois vital rounds with these staple yardsticks of the domestic circuit. Fellow prospects Joe Joyce, Nick Webb and Nathan Gorman could also feature in Dubois’ future plans, if they keep progressing as professionals. Once Dubois can negotiate the 12 rounds at a decent pace then British champion Sam Sexton (assuming he still holds the belt) would provide a good test, as the Norwich man is vastly more experienced. The boxer Sexton beat for the title, Scotland’s Gary Cornish, would be a fight Frank Warren could make for Dubois very soon, in my opinion, as Cornish is a big guy but technically limited. Over the next 18 months or so, Dubois will be looking at the likes of Dereck Chisora, Dillian Whyte, Hughie Fury or possibly David Price as he looks to move towards the European title scene. This is all assuming that he is winning well and progressing to an acceptable standard. Most likely his team will be steering him the WBO title route, so expect to see a WBO European or Intercontinental bauble featuring in Dubois’ fights over the coming year.